Our Kids' Blog » Blog Archive » Who’s the baby? I’m not sure who the baby is in our house, but I know who the silly girl is! 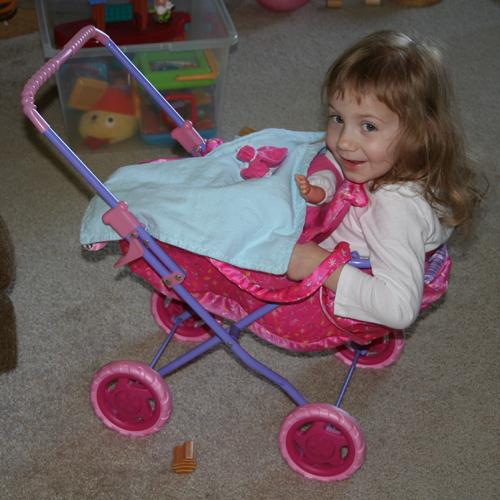 Before I went for my camera, Julia was attempting to push the pram. Posted in Emily Pics | Comments Off on Who’s the baby?